On the nose you get the soothing, gentle notes of elderflower and chamomile combined with the classic flavor of juniper. Full bodied and bold with a silky mouth feel and long pretty finish. 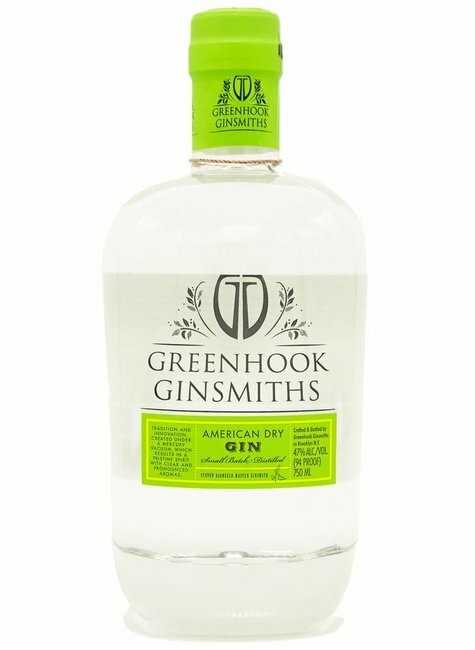 Greenhook's benchmark gin is the American Dry Gin,combining classic notes of a London dry with a soothing more feminine styled modern gin. Botanical ingredients include elderflower, chamomile, tuscan juniper, ceylon cinnamon, coriander, citrus peels. Distilled in a 300L copper still, equipped with vacuum for lowering atmospheres and subsequent temperature.